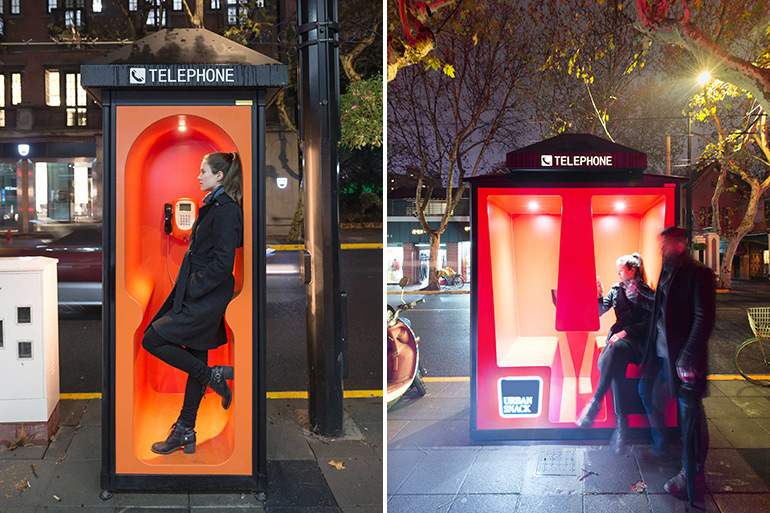 Every major city in the world has a network of public phone booths on most streets. 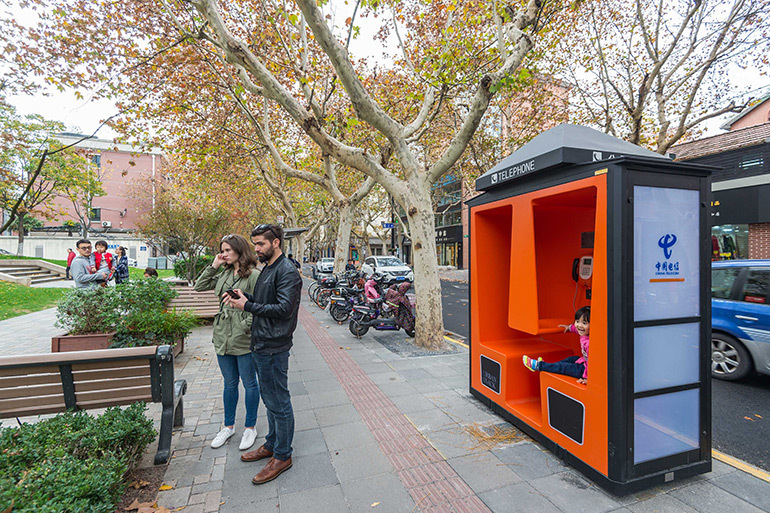 However, with the spread of mobile phones, these urban objects became obsolete, and in many places, they act as urban trash bins or public toilets. 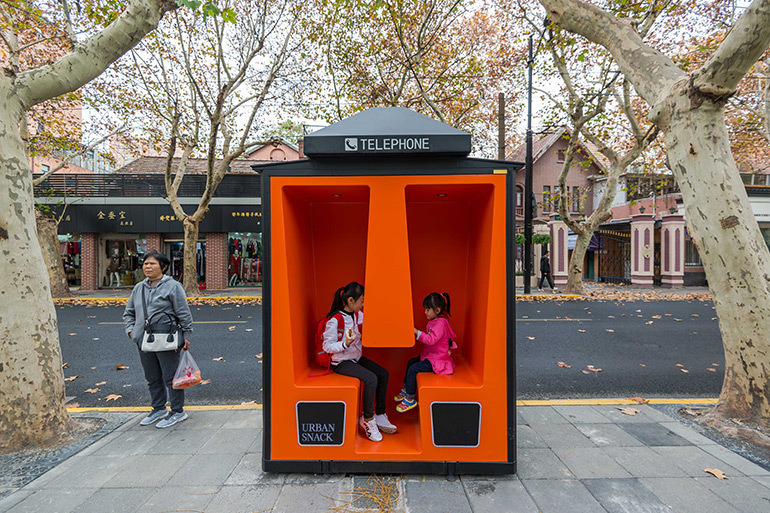 So MINI China, in collaboration with Changning District Government, Anomaly & Assbook, commissioned the Chinese studio 100architects to redesign old phone booths in Shanghai to make them relevant to the demands of our time. 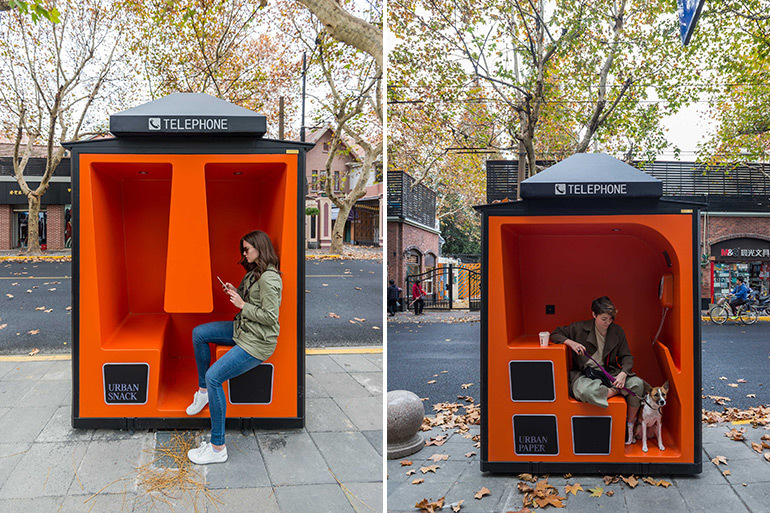 Three different prototypes were created, corresponding to three different sizes of the booths. 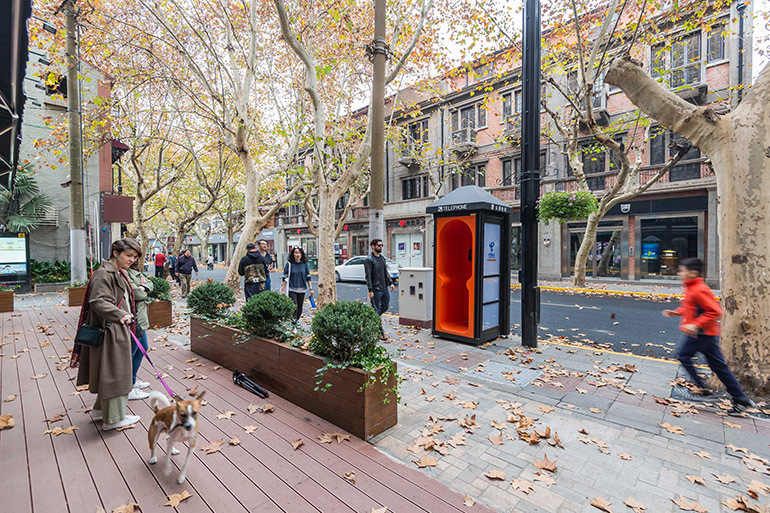 The architects removed the front part of each booth and opened them to the pedestrian sidewalk, turning into modern public furniture and establishing a dialog with the rest of the public realm. 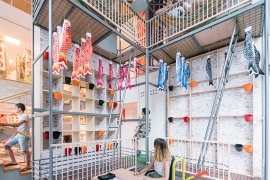 Inside, new interior structures were inserted, providing a number of modern functions: free wifi connection, free USB charging sockets, sitting arrangement, newspaper rack, coffee table, reading lights at night, and an emergency public phone. 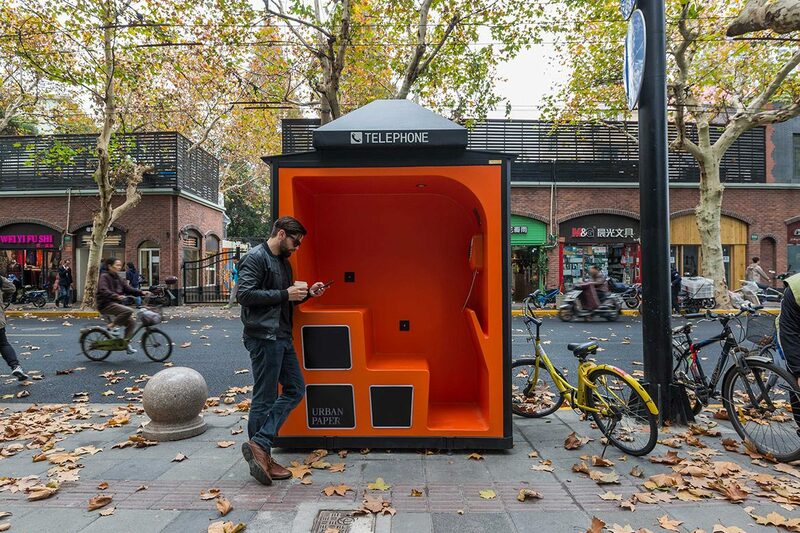 The new interior surfaces feature a striking orange color to make a strong contrast to the old metal shells, which were kept and repainted in matte black in order to keep a major resemblance to the preexisting phone booths. 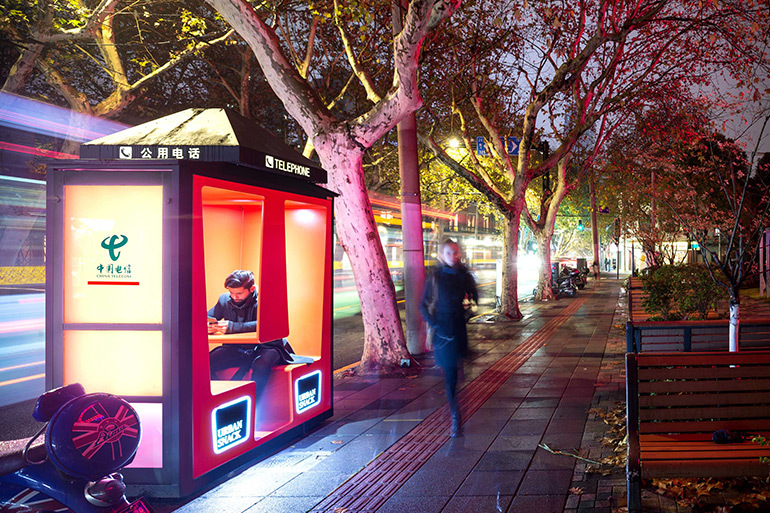 Three other sides were also modified, featuring LED diffusive light boxes to make the entire booth glow at night. 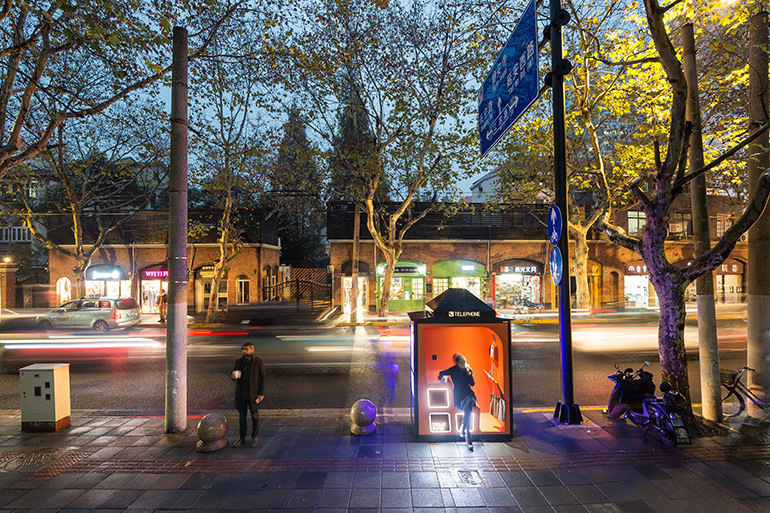 Currently, there are five renovated phone booth units distributed along the historical Yuyuan Road in Shanghai. 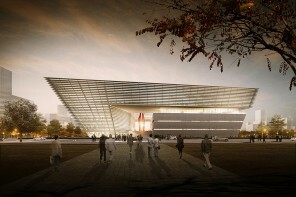 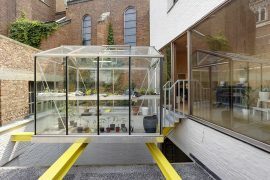 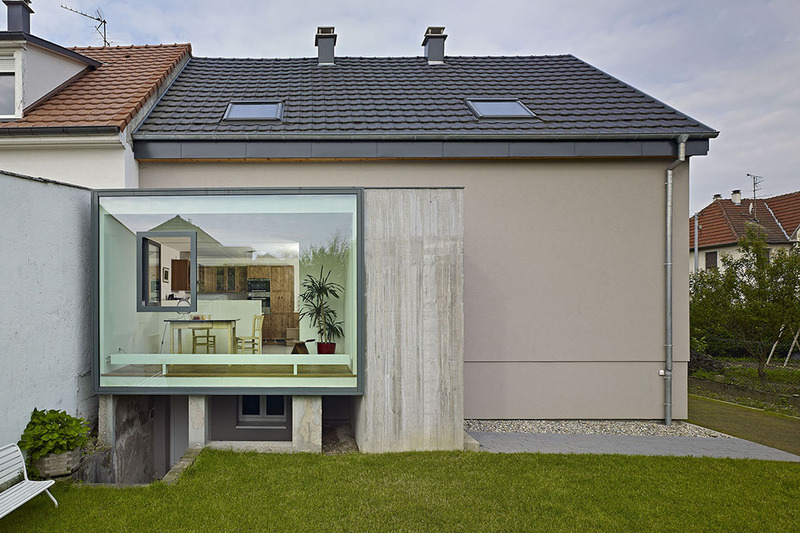 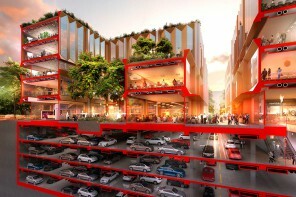 The architects gave a new life to these obsolete urban relics and made them meet the needs of modern citizens by giving them new functions and contemporary look.